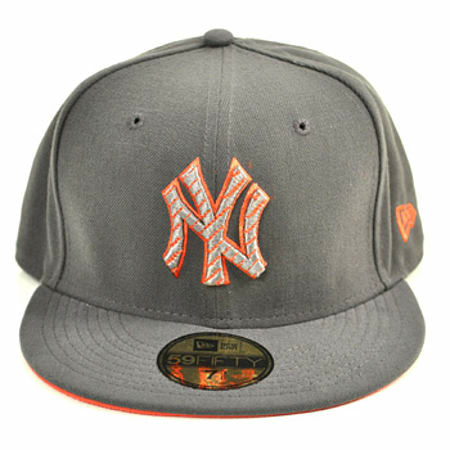 Wear this awesome New Era D-Front NY hat for the ultimate look all year round whilst supporting your favourite baseball team. 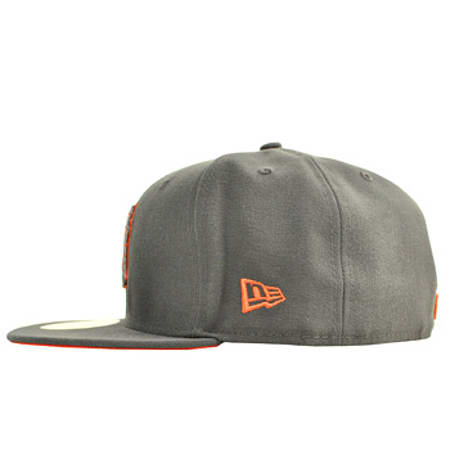 The design on the cap features a graphite base colour with the NY logo in a striking orange and light grey stripy pattern. As well as this there is also a small logo on the side of the hat so you can be recognised even if people don't see you straight on. So if you are looking for a baseball cap to support your team, as well as looking great at the same time, then this New Era D-Front NY hat is just what you need.With a 59FIFTY badge which is featured on the front of this New Era D-Front NY hat you are guaranteed you are getting the real deal. Made with high quality materials such as 100% wool, not one of the New Era caps has ever been known to let anyone down. 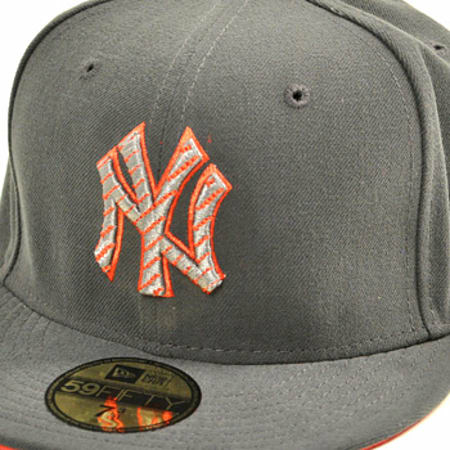 With thousands of people supporting the New York Yankees team, you can also be instantly recognised due to the large brand badge on the front of the cap. Not only is this hat a great addition to your wardrobe, but your everyday outfits where the New Era D-Front NY hat will give you a bright and vibrant appearance. You can wear the awesome New Era D-Front NY hat anywhere you like from a night out with your friends to a baseball game where you are supporting your favourite team. So with a tough design that is sure to withstand anything you have to throw at it, there is no reason why you should already be on your way to purchasing your very own cap now!